A relative from General Santos City brought home this huge panga ng Tuna as pasalubong. 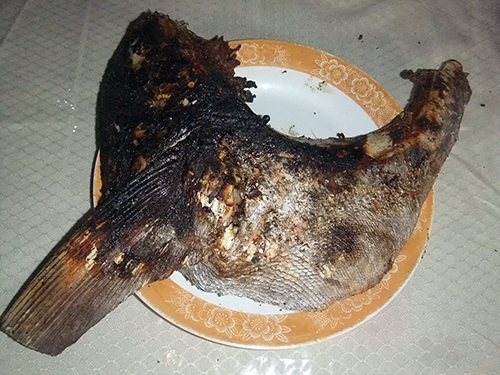 We thought of cooking it with tamarind soup, but hubby prefers it to be grilled. So, grilled Tuna it is! We have calamansi, toyo, and sili as condiment. We had a hefty lunch! This entry was posted in Sea Food and tagged grilled Tuna, Inihaw na Panga ng Tuna, Panga ng Tuna on September 15, 2015 by Yami.